Has the Internet changed everything? We all know that, right? In fact, we wouldn’t be here if it wasn’t for Internet. Literally. Is the world changing in a very fast way? For sure! We take all that for granted. Every two days now we create as much information as we did from the dawn of civilization up until 2003, according to Schmidt. But how do we survive in this fast-paced-digital-jungle? How can we seize the opportunities for our business in this digital environment? 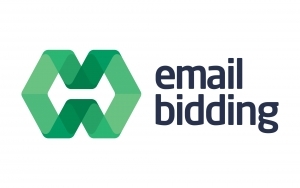 Now that I’ve caught you in your professional existance dilemma, let me tell you that Impacting Group – Emailbidding’s owner – shares the same concerns, specially on the Auto industry. That’s why we’re having an Auto Executive Breakfast tomorrow, on Hotel Vila Galé Ópera, in Lisbon. Our main goal is to discuss Innovative Digital Business Solutions for the Automotive Distribution & Retail Sector, in a constructive atmosphere, with experienced people. Still not convincing? Well, what if we told you we’ll have two invited speakers? The first one is Diana Nunes, an experienced Digital Strategist for the SIVA group. She’s going to talk about her experience on Audi, Volkswagen and Skoda’s digital transformation. The other one is Amaury d’Alès, a digital marketeer who works with Emailbidding and with great knowledge on the French market. At Auto Executive Breakfast, Amaury is going to show some well succeeded cases on digital innovation in France.